A publication called Driving Today is out with its list of 10 Coolest Cars for under $35,000 and three great performance cars all make the rundown. We see all different types of lists from different publications but this one caught our eye. Driving Today is ranking what it believes are the 10 Coolest Cars under $35,000. What is really amazing to us is that some of the most popular performance and sporty cars are on the list, like the Ford Mustang, Chevrolet Camaro and Dodge Challenger. The list ranks vehicles that look good, drive well and are good values. They aren’t just checking out the most reliable or cheapest, they want all round cool cars and they have an interesting rundown. They don’t explain the particular order but they have a different perspective that may help if you are in the market and looking to spend about $35,000. 1. Driving Today ranks the Nissan Leaf as the top of its list. They find it especially cool that you would never need to buy gasoline. The Leaf offers 150 miles of range on a full charge of its 40-kilowatt-hour lithium-ion battery pack. Plus the Leaf is loaded with a lot of Nissan’s latest technology. You are limited to 150 miles of range but not many people drive further than that in a day. 2. They select the adorable Fiat 124 Elaborazione Abarth. They love the name, we love a sports car. The car is the product of an alliance between Italian-American Fiat Chrysler and Japanese Mazda. It has a 164-horsepower turbocharged engine, Fiat-heritage-inspired exterior styling and the Italian-influenced interior. The Elaboazione Abarth has a backup camera and a Bilstein sport suspension. What could be more fun in a sport package? 3. 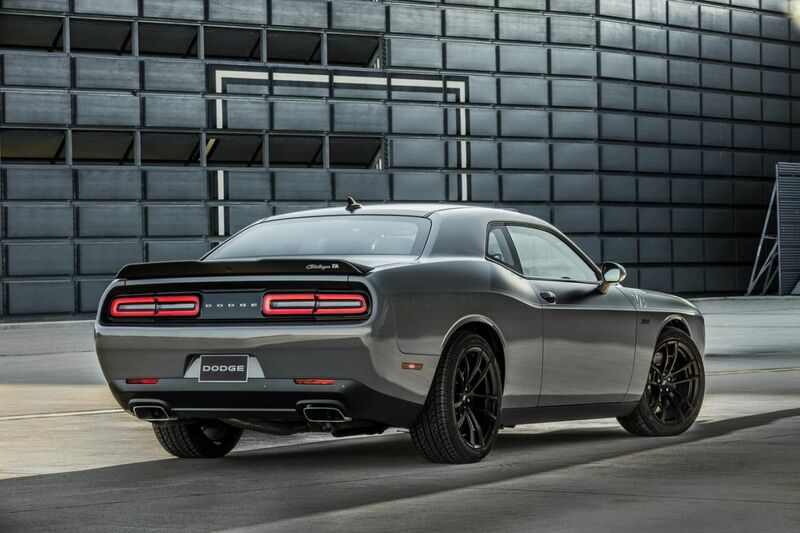 The Dodge Challenger R/T ranks the highest of our true performance models on the list. The Challenger has a 375-horsepower V-8 engine under the hood. It is the most affordable V-8 of the performance cars. This modern sports package is influenced by the original Challenger muscle car, but this Challenger has lots of modern upgrades like a standard seven-inch touchscreen with Uconnect 4 system, Apple CarPlay and Android Auto. 5. Driving Today picks the Chevrolet Camaro for the fifth position on its list. This V-6 version offers 335 horsepower from its all-aluminum 3.6-liter dual overhead cam engine. “The result is a vehicle that looks terrific and, at the same time, is a well-balanced, sharp-handling road car.” Chevrolet includes lots of bells and whistles on the Camaro, remote entry and start, power seating, seven-inch touchscreen with parking camera, six-speaker audio, Bluetooth and Wi-Fi hotspot. 6. Driving Today gives its 6th spot to the Fiat 500e. You may have never seen one. It is only available in California and Oregon, so far. “Its pure-electric powertrain produces 111 horsepower with instant torque, while also offering 84 miles of range on a charge. Obviously, it is not designed for long Interstate runs, but its battery pack can be fully recharged in just four hours with its on-board charging module connected to a 220-volt outlet.” It has a push button transmission and is totally zero emissions. 7. The Ford Mustang is the car that started the pony car era and is still going strong. Driving Today says “It is offered in a full-on, high-horsepower V-8-powered version or a more modern turbocharged four-cylinder edition that delivers surprising all-around performance and handling. No, the four-cylinder won’t provide the forceful acceleration of the 460-horsepower V-8, but its 310-horsepower and significant (350 pound-feet) peak torque results in a very satisfying vehicle.” Plus, it is great looking and fun to drive. 10. The last on the cool list is the Chevrolet Volt. It is the car that started the big push toward electric vehicles. It was the moonshot that may have saved General Motors during its bankruptcy. Driving today says “It is a good-looking, five-passenger plug-in that offers almost 50 miles of electric range before its on-board 149-horsepower internal combustion engine kicks in to recharge the battery pack.” The base model Volt, priced right around $35K, includes LED exterior lighting, remote entry and start and an eight-inch touchscreen-operated info center. OnStar and mobile Wi-Fi hotspot functionality are also included. I find it really cool that three performance models make the list. Even though they may not be the top of the line versions, or the most powerful, it shows that most people can get into a good looking, well-handling vehicle that is safe and fun to drive. You can compare all of the models at www.safercar.gov. To see what Driving Today said about all of the vehicles and why they ranked them in this order click here.